How to force my site to go to the WWW or Non-WWW domain ? If you wish to force your site to open with ‘WWW’ or without ‘WWW’ in there domain name, you need to update your WordPress database. Step 2 : Navigate to the ‘options’ table of the site. 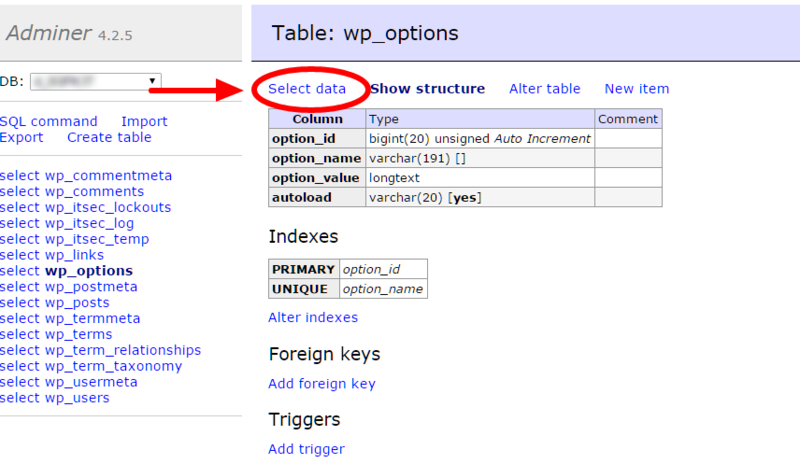 If your site is using the default WordPress table prefix (wp_), then the table name would be like ‘wp_options’. Step 3 :Then edit the ‘siteurl‘ and ‘home‘ options and change to the URL you want the site to direct to, i.e either with ‘www’ or without ‘www’.